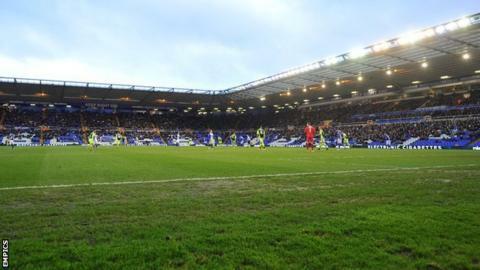 Birmingham City officials are considering up to four offers to buy the club, the BBC has learned. A British-based consortium is willing to pay in the region of £32m, but there is also interest from China, Australia and the Middle East. October 2009 - Following an initial failed attempt in 2007, Carson Yeung completed his £81.5 million takeover. Deal approved by Stock Exchange. May 2010 - Alex McLeish leads Birmingham to ninth in the Premier League. Feb 2011 - Birmingham beat Arsenal 2-1 to win the League Cup. May 2011 - Blues relegated. McLeish leaves for Aston Villa. June 2011 - Yeung first appears in court on money-laundering charges. May 2012 - Blues miss out in Championship play-offs on same day that acting chairman Peter Pannu announces they are looking to attract new investment. October 2012 - Pannu reveals two prospective buyers, including a consortium led by Midlands-based former QPR chairman Gianni Paladini. May 2013 - After an initial postponement, Yeung's trial opens in Hong Kong. Feb 2014 - Yeung resigns from all roles on the boards related to the club - 24 days before the verdict in his money-laundering trial is due. BIHL, Blues' parent company, given green light to resume trading. Birmingham, who are in danger of relegation from the Championship, have been up for sale for two years. Owner Carson Yeung was jailed for six years in March after being found guilty of money laundering in Hong Kong. The 54-year-old remains Birmingham's largest shareholder but has resigned from all positions related to the club. Officials at the West Midlands club have yet to comment on the latest developments but the BBC understands all concrete offers will be discussed next week at a meeting in Hong Kong. Birmingham's future has effectively been on hold since Yeung first appeared in court in June 2011, just a month after relegation from the Premier League was confirmed. Trading in the company's shares was also suspended following the owner's arrest. BBC Radio 5 live's Pat Murphy has previously estimated the value of the football club to be in the region of £30m. Over the past three seasons, Birmingham have managed to make light of their off-field problems, reaching the Championship play-offs under Chris Hughton in 2012, before finishing safely in mid-table under Lee Clark last term. But this season they are struggling and lie 18th in the table, three points above the relegation zone with five matches left. Gates have fallen at St Andrew's as Blues fans have become increasingly disillusioned by the club's apparent lack of progress.